Three albums in and the wait for a truly great Allo Darlin’ album continues. They have great songs and lyrics, thanks to lead singer and songwriter Elizabeth Morris. They are all accomplished musicians with oodles of connections across London’s indie music fraternity. They have also caught the ear of the trendsetting Pitchfork, whose staff are clear fans. But there continues to be something missing. Perhaps it is because they still produce albums that sound like any other small band starting out. Maybe they don’t realise how good they are and that they are head and shoulders above the bulk of jangly, introspective bittersweet indie pop out there. Having said that We Come From The Same Place is by far their best album to date. There is a greater emphasis on guitars in the mix and Morris’s voice sounds stronger here than it did on second album Europe, where it sounded strained at times. The lyrics are just great here as well, full of beautiful lines about love and hope. This is an optimistic, happy album with Morris’s recent marriage clearly a key factor in it upbeat, romantic feel. 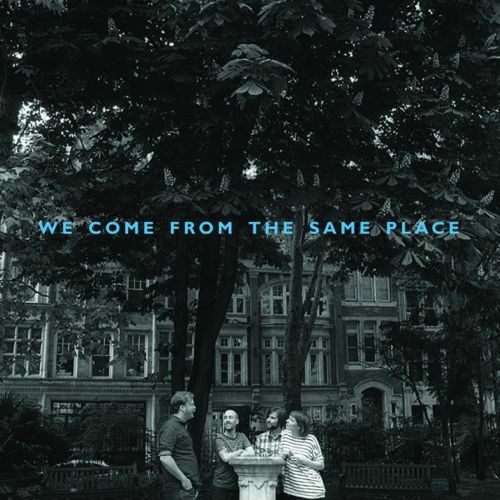 Musically, We Come from the Same Place is beautiful, especially the guitars and Another Year is particularly good with its sumptuous slide guitar. It is this Americana sound I’d like to hear more of from the band and could be the sound that dominates Allo Darlin’s as yet released great album, that still only exists in my dreams. But much of the album, particularly the unimaginative production, is still standard indie fare. Romance and Adventure for example sounds like it’d be great live but on disc sounds like too many other bands. As with their first two albums I’m left feeling like I’ve heard a good album, but frustrated that it is not the great album I’m convinced they have in them. I have a nagging fear though that my search for the great Allo Darlin’ album will continue for some time and more good, but not great, albums like this will follow. What if, to quote Morris on Europe’s standout track Tallulah, that “I’ve already heard all the songs that’ll mean something” from this band?